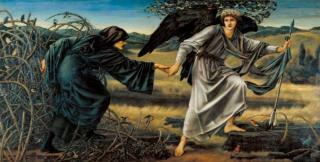 From being an outsider in British art, and spending much of his life in isolation, Burne-Jones (1833–1898) became a key figure in the art world at the end of the 19th century and a pioneer of the symbolist movement.He challenged society by disengaging his art from the modern world, offering a parallel universe based on myth, legend and the Bible. Working in a wide range of materials, he pioneered a radical new approach to narrative in works created for both public and intimate settings.This exhibition is London’s first major retrospective of the artist's work for over 40 years, and showcases 150 works in different media, including painting, stained glass and tapestry, all of which foreground Burne-Jones's belief in the redemptive power of art. Price shown includes donation. Concessions available. Under 12s go free (up to four per parent or guardian). Family tickets available (two adults and two children 12–18 years) by telephone or in the gallery. Booking information will be available shortly.